Juan Mata says Manchester United need to keep calm and kick on after another frustrating late slip-up threatened to throw their festive schedule off kilter. Burnley arrive at Old Trafford on Boxing Day with Jose Mourinho's men reeling from back-to-back disappointments, kicked off by Bristol City knocking the holders out of the Carabao Cup on Wednesday. That stoppage-time winner was compounded by another late goal as Harry Maguire snatched Leicester a 2-2 draw at the death on Saturday to leave United 13 points behind Premier League leaders Manchester City over Christmas. There is no time to wallow in self-pity, though, as the games come thick and fast, with the Boxing Day visit of Burnley swiftly followed by another home match against Southampton and a trip to Everton on New Year's Day. "You have to keep going and especially in Christmas time," Mata said at the King Power Stadium. "You play every two or three days and obviously now we feel frustrated and angry. "But we need to keep going and, from (Christmas Eve), rest and think about the next game - obviously with the will of finishing the game with a much better feeling." United's players looked ashen-faced as they traipsed onto the bus at Leicester, where they were on course for a comeback win after Mata's first top-flight brace since March 2015 cancelled out Jamie Vardy's opener. The visitors had a number of chances to put the game to bed, but a lack of killer instinct - an all common theme last season - cost them maximum points. Mourinho criticised his side's "childish" display after what felt like a pre-Christmas defeat for United. 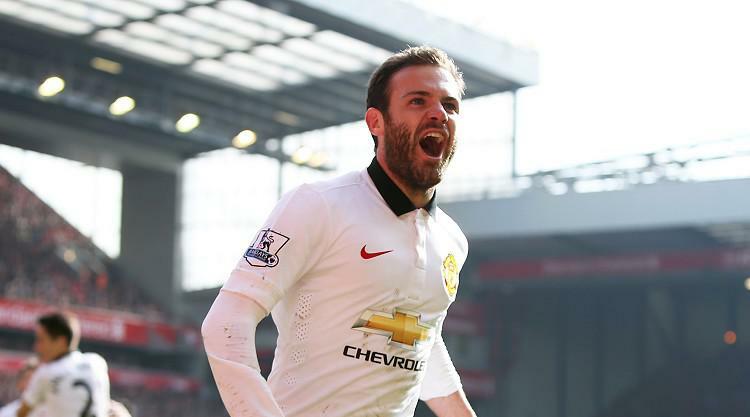 "We didn't kill it - and we should have killed it," Mata told MUTV. "It's easy to say now. "If we instead of drawing win at the end, we would have been saying that it was a fantastic game, that we came back and we did the most difficult thing which is to score twice after they went ahead. "But that's football, you know, and in the last second they put the ball into the box and they scored. "But we have the feeling that we should have killed the game before. "It feels like a defeat. We get a point but it feels like a defeat because we were so close to winning and we had a chance to kill the game. "They were with one less player (after Daniel Amartey was sent off) so it feels like a defeat." United will still be without a string of first-team players as they look to get back to winning ways on Boxing Day. Michael Carrick and Maroaune Fellaini have been ruled out of the festive period, while Antonio Valencia has been struggling with a hamstring injury of late. Eric Bailly is sidelined after ankle surgery and an unspecified injury meant versatile full-back Matteo Darmian missed the draw at Leicester, where Chris Smalling received a knock late in proceedings.